This evening, the Senate will receive the results of the FBI’s supplemental background investigation of Judge Brett Kavanaugh. This is now the seventh time the FBI has looked into Judge Kavanaugh’s background. And this information comes on top of what has already been one of the most thorough and most exhaustive Senate reviews of any Supreme Court nominee in the entire history of our country. Five days of public hearings. Sixty-five private meetings with Senators. More than 1,200 responses to written questions from members. More than 500,000 pages of documents for review -- the most produced for any Supreme Court nomination in our history. And the 300-plus opinions Judge Kavanaugh has issued during his 12 years on the D.C. Circuit. And now, Senators will have the evidence collected by this additional background investigation for their consideration as well. Members will have the opportunity to review the investigators’ records. And, as is the standard procedure, designated Judiciary Committee staff members with the required clearances will be authorized to brief members. There will be plenty of time for Members to review and be briefed on the supplemental material before a Friday cloture vote. So I am filing cloture on Judge Kavanaugh’s nomination this evening so the process can move forward, as I indicated earlier this week. 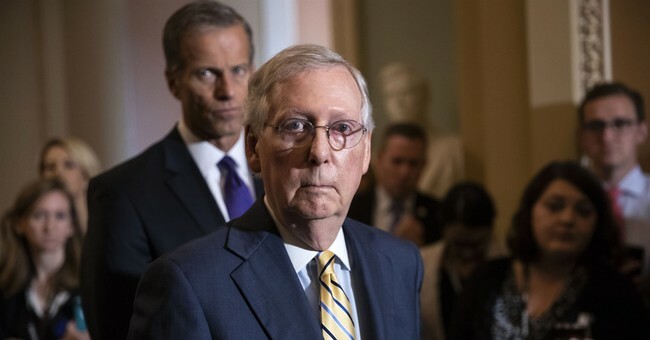 In a late night push, Senate Majority Leader Mitch McConnell (R-KY) filed cloture to end the debate about whether or not to confirm Judge Brett Kavanaugh to the Supreme Court. The Democrats now have 30 hours before a final vote on Kavanaugh. Matt previously detailed the cloture process and what that means as far as vote goes.